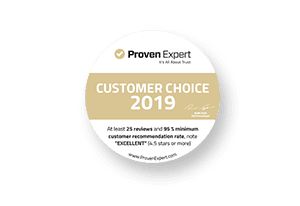 The awards "TOP service providers", "TOP recommendation", and "Customer Choice" characterise the best rated service providers, based on the ratings of their customers. 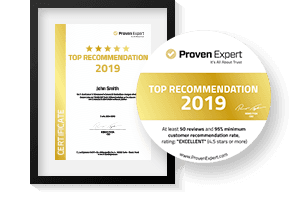 This highlights their outstanding services, which are reflected in a particularly high level of customer satisfaction and the recommendation rate of the excellent service providers. 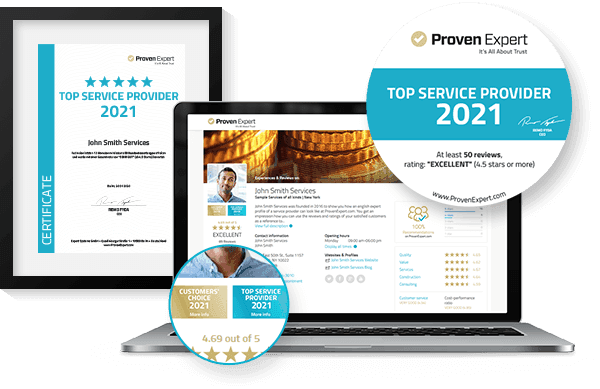 What does it take to be a top-rated service provider on ProvenExpert.com? 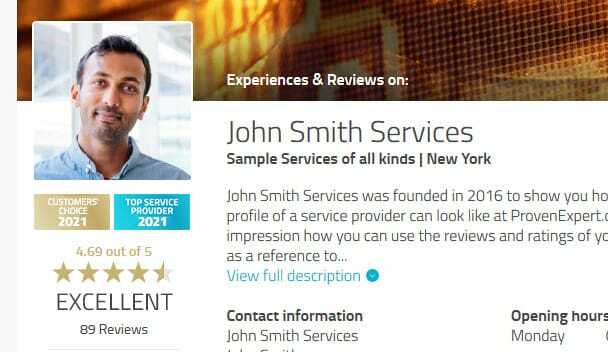 Join now and start collecting reviews for free! Register now and start collecting customer feedback in under three minutes. Enthusiastic customers, excellent service, and being proactive about customer feedback - we think that needs to be recognised. This is why we highlight service providers on ProvenExpert.com that meet the above-mentioned criteria. How and how often are the awards given out? The awards “TOP service providers”, “TOP recommendation”, and “Customer Choice” are given on a running annual basis. This is why the profile badge, certificate and sticker all display the current year. But there's no deadline for qualification — anyone that meets the criteria during the calendar year is eligible for an award. Which criteria have to be fulfilled by the service providers to achieve the awards, you can learn here.